Castles, quests, demons, and ghosts fill the pages of our Spring 2019 season. First up, we are incredibly excited to bring Emily Carroll’s When I Arrived at the Castle from out of the long shadows and perilous corridors. Drawing on Romanticism, Gothicism, videogames, myth, horror, feminism, furries, and fan culture Carroll’s comics are a melange of Atwood and anime, Blake and body horror. With her web comics and short story collection Through the Woods, Carroll has established herself as this generation’s preeminent horror cartoonist and here presents a truly modern horror feast preying on the psyche of today’s youth. 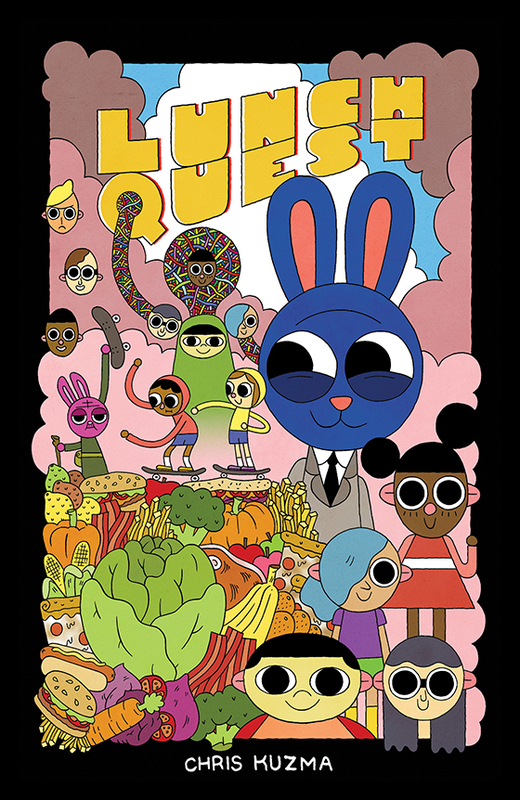 Next we have Wowee Zonk alum Chris Kuzma making his solo debut with Lunch Quest. Richard Scarry meets Regular Show in this surrealist slacker series of stories. Akin to Pee Wee poking around the Playhouse and finding the frozen vegetables up to no good, and the dinosaurs in the wall dealing with a familial dispute, Bunny has found that his house holds much more crazy than clutter, as he quests for his lunch. 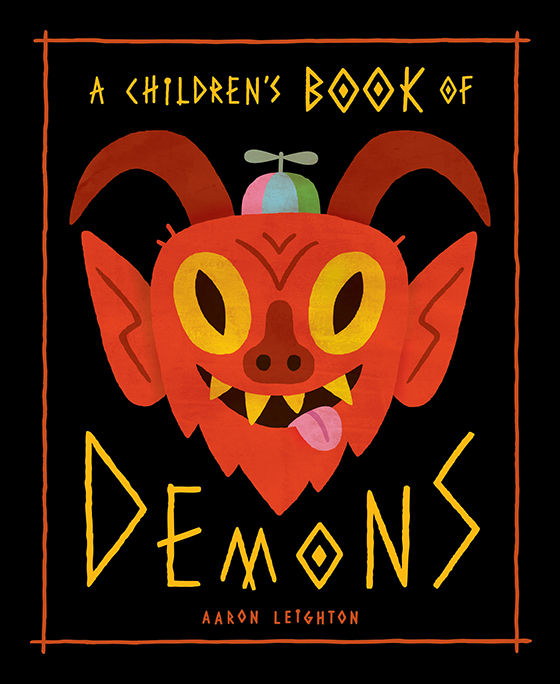 With A Children’s Book of Demons, Aaron Leighton has filled a book with demons, but they certainly aren’t diabolical, rather these spirits are adorable and iconic—Leighton is the designer behind Koyama Press’ very own icon: Kickass Annie—each one so well crafted, from their description to their illustration, that you expect them to walk off the page and star in their own Saturday morning cartoon. For the past four years, Ben Sears has been building an incredible world of quirky characters and rip-roaring adventures under the Double+ banner. In this short time, over three standalone volumes, he has created so much awesome he has likely raised worldwide levels. 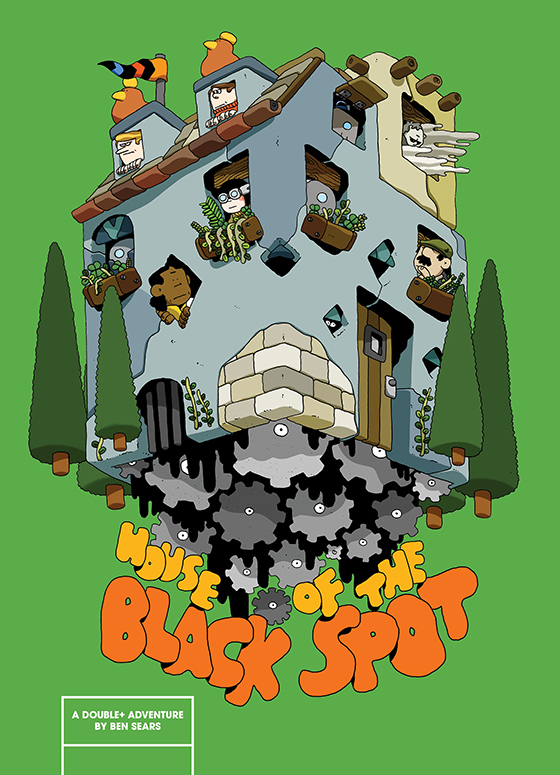 House of the Black Spot is no exception! An exciting and decidedly supernatural Spring awaits! A castle, a killer, and prey all bound and blurred by lust and blood. EMILY CARROLL is a writer and artist of numerous award-winning comics, including the horror collection Through the Woods, which won both an Eisner and the British Fantasy Award for 2014. Her online comics work include numerous short stories, with subject matter ranging from haunted rivers to ravenous hand lotions. Her most recent work is a graphic novel adaptation of Laurie Halse Anderson’s 1999 novel Speak. She lives in Stratford, ON with two dogs, one cat, and her wonderful and talented wife, Kate. Sometimes you are so hungry that the only thing you can find in your house is rip-roaring, candy-coloured, side-busting adventure! Have you ever been looking for your lettuce, but instead you find skate kids shredding the moon, bunny gladiators astride bumpy frogs, and dance party dance-offs so twisty they put a bag of pretzels to shame? No? Then dig into this collection of comic vignettes to find what you’ve been missing. CHRIS KUZMA is an artist living in Toronto, ON with his wife, two children and their cat. He divides his time between drawing comics, doing freelance illustration and teaching at OCAD University. He is one-third of the Wowee Zonk comics collective. This is his first all-ages graphic novel. With this handy Necronomicon for kids, and its easy to follow how-to steps, summoning demons has never been so much fun! Don’t want to take out the trash tonight? Maybe you’re swimming in homework? Perhaps that big bully is being a real drag? Well grab your coloured pencils and sigil drawing skills and dial up some demons! But be careful, even if these spirits are more silly than scary they are still demons. AARON LEIGHTON is an award-winning illustrator and art director, as well as a fan of all things occult. His first book with Koyama Press, Spirit City Toronto, was published in 2010. Aaron lives in Toronto, ON and spends his free time wrestling with a black cat. Plus Man and Hank are in it now! They’ve riled up a ghost, and a ghost with a knack for real estate no less! The Double+ gang discover that sometimes greed can extend beyond the grave, as they are thrust into a battle between revolting real estate developers and their ghoulish goon bent on destroying the idyllic Gear Town with ghastly gentrification and the most frightful sight of all…condos! BEN SEARS is a Louisville, KY based cartoonist, illustrator and musician. His characters Plus Man and Hank have appeared in a number of zines, online anthologies and in the all-ages adventure series Double+ where they have been perpetually in over their heads.